My boy BFF Lee came to work in the most adorable pink tie. I said, “Lee, where’d that come from?” He replied with a smile, “The street.” Immediately, I started cracking up! Lee, the most awesome indie filmmaker, TV producer, and man about town had indeed found the tie lying in the streets of Capitol Hill in Washington, DC. He imagined the original owner tossed it after escaping some torrid love affair – like the hubby coming come. 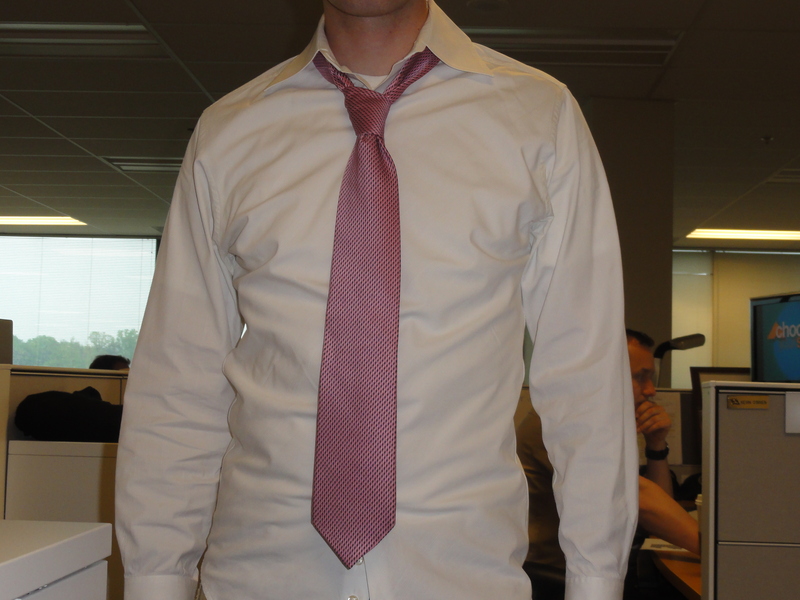 Curious – I researched the tie. 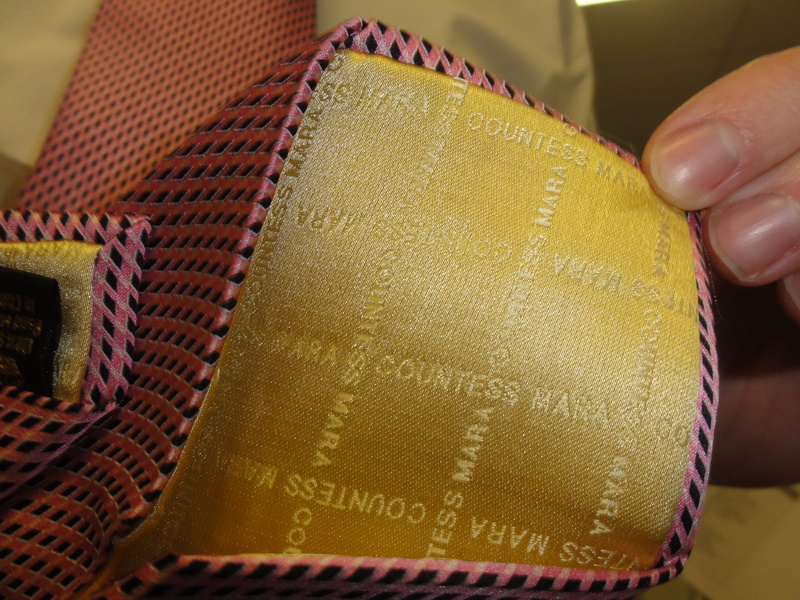 It’s from “Countess Mara” – a company with the slogan “Be A Gentleman.” OOh…I like! I love it! Finder's keepers! 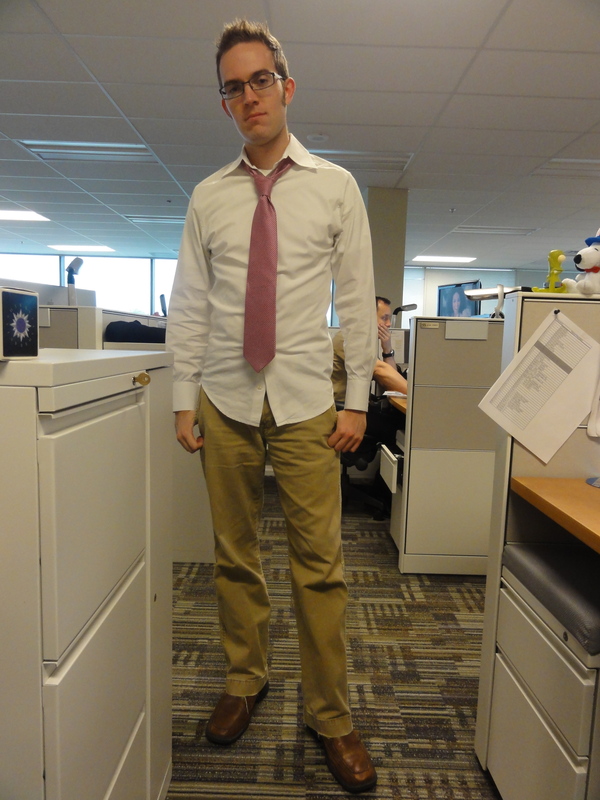 The tie doesn't exactly match his outfit but as they say, "one man's loss is another's gain!" ;) Lovely post! Aww thanks Kristy. I like the FFF alliteration, although I wonder how many people know what femme fatale actually means hah! Thankfully, we have Google.